2. Once you have entered the wildcard into your campaign and send it out to your database, users who click on this link will be sent to a screen that looks like this (see below). 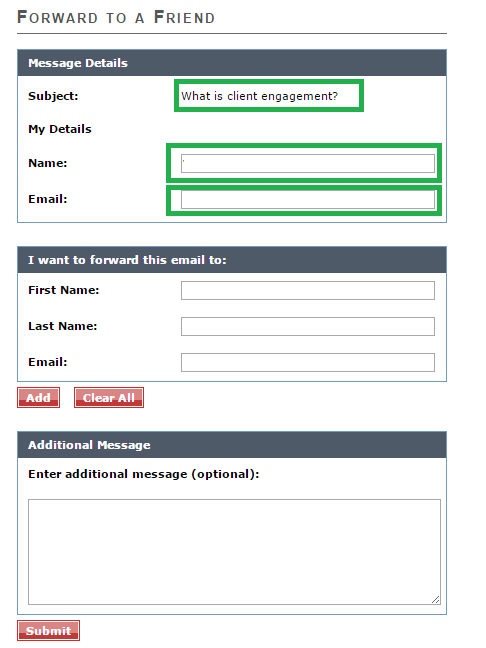 The title of the email and the persons details will be prefilled in the sections highlighted in green. They just need to enter in their friends details and hit "submit". 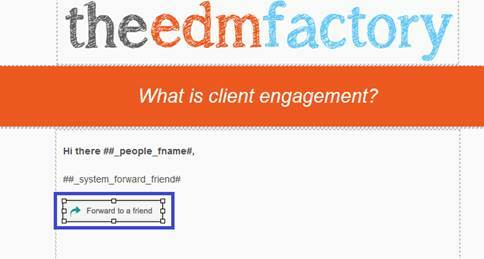 To customize the Forward to a Friend link you can also turn it into a button (like this below) by inserting an image (like the one shown below) into the eDM content. And a pop-up will appear that looks like this (below). 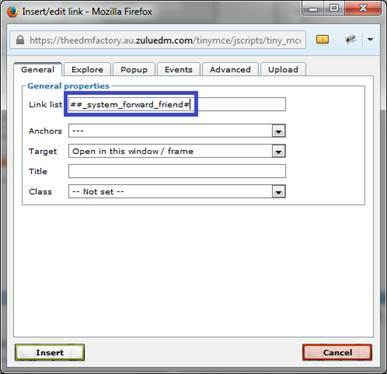 You will need to copy in the wildcard ##_system_forward_friend# into the "Link list" section shown below – then click insert to add this link to the image.